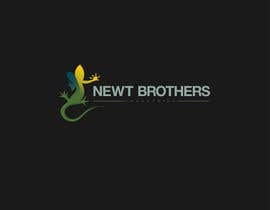 I need a logo of a two-headed Newt that can be used for digital and print purposes in a high resolution format. I'm not looking for the logo to look like a cartoon or have cartoon characteristics. 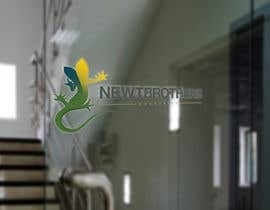 One of the heads needs to be a Blue (google blue Newts) and the other head needs to be Yellow (again google) and they will come together to make a Green body. I want the colors to really pop and flow together in an eye appealing way! I will need a vector, a TIFF, a JPEG and a GIF file, along with the color numbers. Please extend the contest, I have something more to show you. To view the logo I would have submitted click on the following link. I am willing to sell this logo at $150, to make up for missing the deadline. Thank you. I was working on a design before the contest ended. I just finished it, only for me to see that I can no longer submit my design. If it all possible. Can you please extend the contest. My design is original, vibrant, mixes the colors very well, and is both memorable and timeless. Please consider extending the contest. Thank you. Hi Sir, I already modified the shape of the heads. Please check #70 . Thank you so much! Please check #53 and #54 thanks. 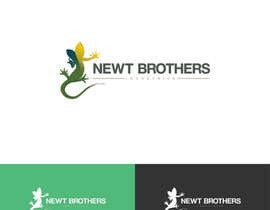 To give you a bit more info, I don't want the Newts to look cartoony, but I still need a graphic design. I don't want big goof characters, I need it to look professional through the detail. As for the text, also needs to be in a professional font, probably bold and could circle the logo, but doesn't have to. Let me know if I can give anymore info. 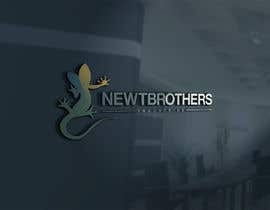 You can google Newts and look at the images to get an idea of what the lizard looks like and the different colors they have in nature. 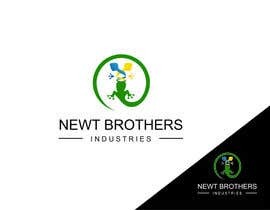 I want to incorporate that into the logo, while making the two-heads of different color Yellow and Blue, which then come together to make the Green body. Let me know if that helps. what is the level of details you wants to have in the logo specially on the newts part line two colors three colors multi colors gradient colors?? Hi Jamie2002 please give complete discription with logo text name thanks..
is it an animal, person? what dies it signify. we can use some more information. 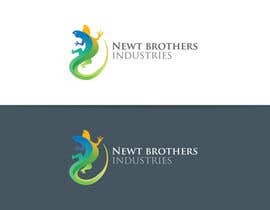 You want the logo like digital painting of Two-headed Newt? What's your logo text, Sir?